This week I have had the real privilege of visiting Vancouver to run a workshop, speak at a meetup event and, primarily, to attend and speak at the inaugural Information+ conference. 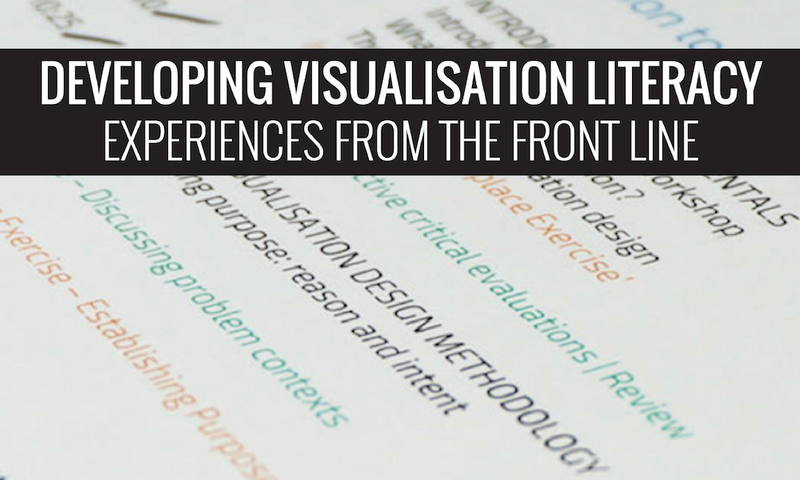 I gave my talk yesterday titled "Developing Visualisation Literacy: Experiences from the Front Line" which was about sharing, describing and reflecting on my experiences of commercial training and academic teaching over the past 5 years. Andy Kirk from Information+ Conference on Vimeo. This was a great talk! I really enjoyed learning more about your process. Thanks so much for sharing your slides.